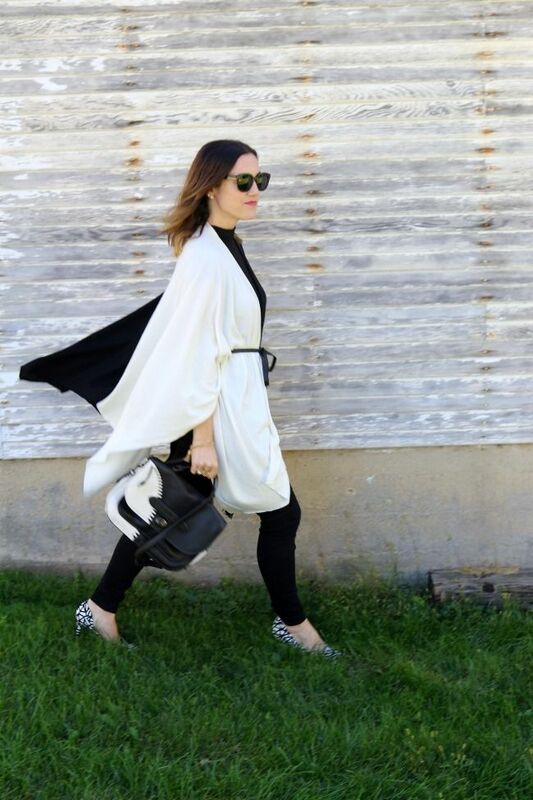 I am beyond obsessed with this black an white cape! 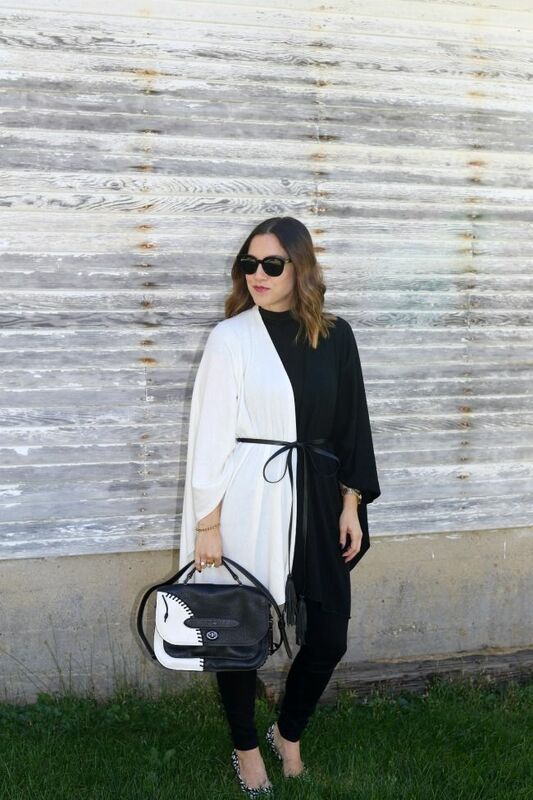 You can style it an endless amount of ways and even wear it as a scarf or a blanket on those extra cold days. (I know mine will be coming on my next plane ride for sure.) It is available exclusively in this Fall's Box of Style. What is not to love about a seasonal box subscription service? 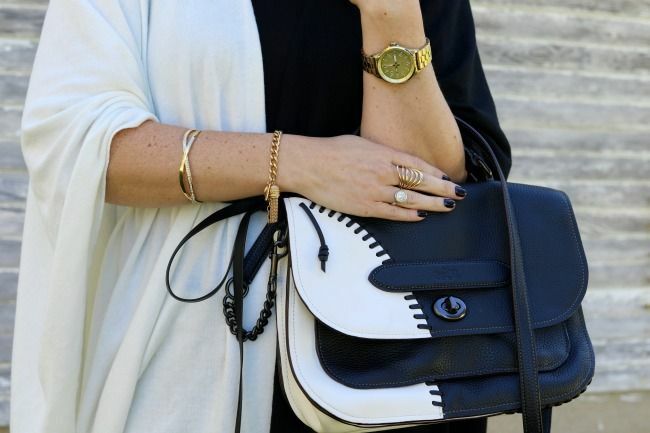 You know Rachel Zoe will have it loaded up with the best goodies she can find. Ok, back to my outfit. I wanted to keep this look all black and white. Sure, it could have been overkill to keep it only these two colors, but I think it worked out. I'm sure it didn't hurt that back and white are both a classic and timeless color combo. I really loved how comfortable but chic I felt wearing this outfit. I absolutely love when you can combine both of those factors in a look. I decided to add all gold jewelry and a bright lip to finish it off. What do you think of this pairing? Have you ever received a Box of Style?